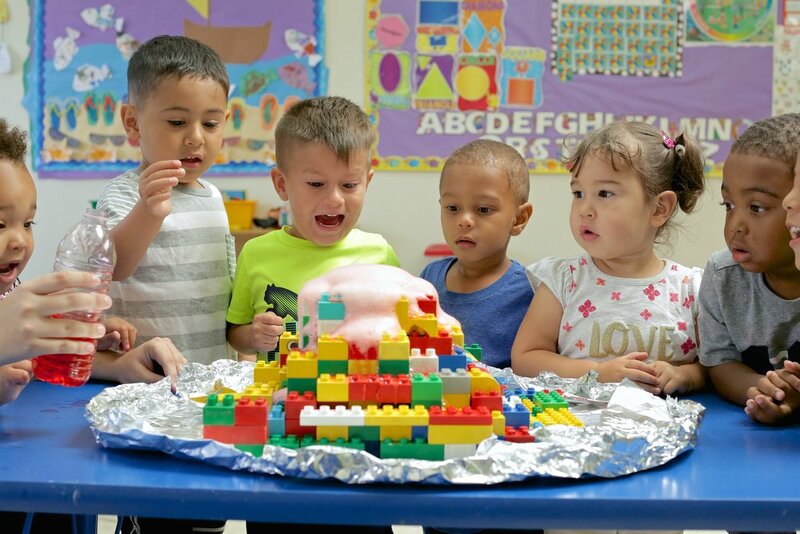 Mira Loma's Premier Learning and Childcare Center! Our 7,300 square foot State of the Art facility is on a full acre. Our half-acre play area features plenty of lawn, shade trees, long cement paths for tricycle riding, and a large sandbox all to promote physical development. Our spacious classrooms and computer LAB room for School Age students encourages students to thrive and achieve. With our morning and afternoon snacks we serve healthy options and on Fridays we cater lunch for our students. Our Teacher-Child ratios are kept lower than Social Service’s standards so teachers can give children the individualized attention that they deserve. We strongly believe that children learn through play and incorporate childcare standards into fun and meaningful activities. We foster, promote and schedule tumble time daily because we believe that developing children need opportunities to develop their bodies and their coordination.